Interested in knowledge of methods of coordination chemistry and methodology including preparation of complexes and their characterization by molecular electronic spectra, IR, NMR, CHN, conductance, thermal analysis and spectrophotometric determination of the stoichiometry. Design and characterization of Schiff base complexes and study their interaction with DNA and their different biological applications. Design and study of multifunctional systems containing Schiff base ligands and 4f metals towards the development of nano devices. Preparation and characterization of surface modified magnetite nanoparticles with controlled size. Functionalization of nanoparticles and for catalytic reactions. Functionalization of nano medical plants for water purification. Design of new nano photocatalysts for oxidations of dyes and water purification. Synthesis of nano curcumin for biological applications. Synthesis of metal oxide nanoparticles using extract of some medical plants for different medical and industrial application. Journal of Materials Science & Engineering C (2 manuscript). Journal of Nanostructure in Chemistry (1 manuscript). American Journal of Nano Science (1 manuscript). Journal of Transition metal complexes (1 manuscript). Water Science and Technology (6 manuscript). Research on Chemical Intermediates (1 manuscript). Journal of Engineering and Applied Sciences(1 manuscript). British Journal of Applied Science & Technology(1 manuscript). American Journal of Applied Chemistry (AJAC) ( 5 manuscripts). Inorganic and Nano-Metal Chemistry (2 manuscript). Frontiers in Applied Chemistry (1 manuscript). New Materials, Compounds and Applications (1 manuscript). Inorganic Chemistry Communication (1 manuscript). Polish Journal of Chemical Technology (1 manuscript). SF Journal of Nanochemistry and Nanotechnology (2 manuscript). Research on Chemical Intermediates (2 manuscripts). Journal of Applied Life Sciences International (1 manuscript). Egyptian Journal of Chemistry (1 manuscript). Scientific Research publishing (1 manuscript). Chemical Science International Journal (9 manuscripts). Combinatorial Chemistry & High Throughput Screening (1manuscript). Environment, Development and Sustainability (1manuscript). Asian Journal of Chemical Sciences (5 manuscripts). Indian Journal of Science and Technology (1manuscript). Journal of Advanced Research (2 manuscripts). Journal of Scientific Research and Reports (1manuscript). Journal of Applied Chemical Science International (2 manuscripts). Journal of Materials Science Research and Reviews (1 manuscript). Journal of the Serbian Chemical Society (1 manuscript). Nucleosides, Nucleotides and Nucleic Acids (1 manuscript). New Journal of Chemistry (1 manuscript). Journal of Biomolecular Structure & Dynamics (2 manuscript). New Journal of Glass and Ceramics (NJGC) (1 manuscript). Attendance of work shop on "Egypt Government Excellence Award " Faculty of Science, Sohag University, 11-4-2019. Attendance of work shop on "Building the Egyptian character " Faculty of Science, Sohag University, 11-4-2019. Attendance of work shop on "Soap Production" Faculty of Science, Sohag University, 10-4-2019. Attendance of work shop on "The new chemistry paints" Faculty of Science, Sohag University, 8-4-2019. Attendance of work shop on "The Pyramids of Giza: The Truth Between Watching and Building Theory" Faculty of Science, Sohag University, 8-4-2019. Attendance of work shop on "The way to research" Faculty of Science, Sohag University, 7-4-2019. Attendance of the first educational forum between Sohag University and university of Science and Technology of Oran USTO-MB, Faculty of Scince ,Sohag University, 31-3-2019. Attendance of the first conference of innovation, Sohag University, 2/10/2018. Attendance a workshop of Examination and examination of the crime scene and its role in the criminal investigation, Sohag University, 1-3/9-2018. Attendance of Second Environmental Festival, Faculty of Science, Sohag University, 6-8/5-2018. Attendance of Seminar in "University assessment in light of quality standards" 29 April, Faculty of Science, Sohag University. Ahmed Abu-Dief, The fourth Scientific Conference for Young Researchers "The role of Scientific research in sustainable development", oral presentation, 17, 18 April Sohag University. The third Annual Scientific day of Faculty of Science, Sohag University, 16 April, Sohag University. Attendance workshop on Services of the Egyptian Knowledge Bank EKB, Sohag University, 11,12 Feb. 2018. Attendance workshop on Endemic diseases, treatment and prevention ( Heart, Cancer, Virus C, Brain bleeding and blood pressure diseases) 11-12-2017), Faculty of Science, Sohag University, Sohag, Egypt. Attendance workshop on Strategies for self-qualification for competition locally and globally, Sohag University, 23-11-2017. Attendance workshop on " The role of Forensic Chemistry in Criminal laboratories ((Toxin and Drugs, 15-11-2017) and (Counterfeiting and Forgery 16-11-2017)), Faculty of Science, Sohag University, Sohag, Egypt. Attendance workshop on " How to Protect yourself from infection and bad effects, 12-11-2017, Faculty of Science, Sohag University, Sohag, Egypt. Attendance workshop on " How to Prepare Self-Study for the College to Advance Quality Assurance and Accreditation, 4-10-2017, Faculty of Science, Sohag University, Sohag, Egypt. Ahmed M. Abu-Dief, Omar Meshaines, María A. Villa-García, 2nd International Conference on Chemical & Pharmaceutical Sciences' Applications, Sharm El-Sheikh, Egypt 8-11 Aug. 2017 (ICCPSA-2017). Laila H. Abdel-Rahman, Ahmed M. Abu-Dief, and Azza A. Mohammed S. Adam, 3rd International Conference New Horizons in Basic and Applied Science, ICNHBAS 2017, 5 – 7 August 2017, Hurghada, Egypt. Attendance the workshop on the strategic plan for Faculty of Science, Sohag University, Sohag, 3/5/2017. Laila H. Abdel-Rahman, Ahmed M. Abu-Dief, and Azza A. Mohammed S. Adam, International conference on chemistry and its role in development, Mansura University, Sharm El-Sheikh, 20-24 / 3 -2017. Attendance workshop on "Egyptian Fulbright Scholar program" 2-3-2017, Faculty of Science, Sohag University, Sohag, Egypt. Attendance workshop on "The new standards for the accreditation of higher education institutions" 17-1-2017, Faculty of Science, Sohag University, Sohag, Egypt. Attendance workshop on "Project financing by the European Union program "Erasmus" for the development of higher education and its mechanisms", 1-1-2017, Faculty of Science, Sohag University, Sohag, Egypt. Attendance workshop on "Exam paper and the most important points learned from the commission exam paper assessment report specification", 17 December 2016, Faculty of Science, Sohag University, Sohag, Egypt. Attendance workshop on "Description of courses and programs, and how to prepare reports of courses and programs", 13 December 2016, Faculty of Science, Sohag University, Sohag, Egypt. Attendance workshop on how to obtain European union project 7 December 2016, Faculty of Science, Sohag University, Sohag, Egypt. Attendance a Lecture in Physical Properties under Extreme Conditions in Unconventional Supercoductivity, 21 November 2016, Faculty of Science, Sohag University, Egypt. Attendance the workshop in World of Modern Paints, 17 November 2016, Faculty of Science, Sohag University, Egypt. Ahmed M. Abu-Dief, International Conference on Chemical Sciences & Applications 6-9 Aug 2016, Alex. Egypt. Laila H. Abdel-Rahman, Ahmed M. Abu-Dief, M. A. Abd- El Sayed, Mallak Megalea Zikry , International Conference on Chemical Sciences & Applications 6-9 Aug 2016, Alex. Egypt. Attendance the first scientific day of Faculty of Science, Sohag University, Sohag, 20/4/2016. Laila H. Abdel-Rahman, Ahmed M. Abu-Dief, M. A. Abd- El Sayed, Mallak Megalea Zikry, 1st International Conference on Applied Chemistry (ICAC-1) Applied Chemistry for Community Development, Hurghada, Egypt, March 14-17, 2016. Attendance the workshop in Humboldt Kolleg on "Nanotechnology and Nanomaterials For Sustainable Development" 02-04 February, 2016 Luxor, Egypt. Attendance the workshop on Environmental priorities in Sohag through The next Five years, Faculty of Science, Sohag University, Egypt, 29/12/2015. Attendance the workshop on "Dealing with Changes" within the DAAD Cairo Alkademi, Sohag University, 29-November 2015. Ahmed Abu-Dief, M. Said-Abdelbaky b and S. García-Granda, The second International Conference on New Horizons in Basic and Applied Science, 1 - 3 August 2015, Hurghada, Egypt. Attendance the workshop in Secrets of Scientific Publishing, Faculty of Science, Sohag university, Egypt, 1/1/2015. Attendance the workshop in Water Analysis and Purification, Company of Drinking Water and Sanitation, Village of Neda, Sohag, 10/8/2014. Ahmed Abu-Dief, Laila H. Abdel-Rahman, Rafat M. El-Khatib and Lobna A. E. Nassr, poster presentation, 5th international conference in Chemistry, 26-29 April 2014, Abha, Palace hotel, Abha. KSA. Attendance the workshop in "How to present Scientific Data" within the DAAD Cairo Alkademi, Sohag University, 13-April 2014. Attendance the workshop in " Scientific Thinking and Argumentation skills for Problem Solving" within the DAAD Cairo Alkademi, Sohag University, 12-April 2014. Ahmed Abu-Dief, Raúl Díaz-Torres, Eva Carolina Sañudo, Laila H. Abdel-Rahman, Núria Aliaga-Alcalde, poster presentation, The first Conference in Nanotechnology, Louxor, Egypt, 26-28 Feb. 2013. Ahmed Mohammed Abu-Dief, Laila H. Abdel-Rahman, Rafat M. El-Khatib and Lobna A. E. Nassr”, International Conference on New Horizons in Basic and Applied Science, 21 - 23 September 2013, Hurghada, Egypt. Attendance the first workshop on Chemistry and Environment, oral presentation, Faculty of Science, Sohag University, 24/3/2013. Attendance a workshop on Synthesis of Novel Nano sized materials, Sohag University, Sohag, 5- December- 2012. Attendance a Workshop on Scientific Writing, Alexandria, 24- November- 2012. Attendance a Workshop on Chemical Safety, Alexandria, 25- November -2012. Attendance a Workshop on Chemical Education, Alexandria, 26- November- 2012. Attendance the conference on The prospects for Development in Sohag, Sohag University, Sohag, 3/10 /2012. Attendance a workshop on Skills using Global Databases in a Global Research, Sohag University, Sohag , 5/10 /2012. Ahmed M. Abu-Dief, Laila H. Abdel-Rahman, Rafat M. El-Khatib and Lobna A. E. Nassr” The first Conference in Chemistry Development and Science Diplomacy in Alexandria 24-26 November, 2012. Attendance a workshop on Establish Scientific Journals and How it obtained the World Ranking , Sohag University, Sohag 25/8/2012. Ahmed Abu-Dief, Laila H. Abdel-Rahman, Rafat M. El-Khatib and Lobna A. E. Nassr” Design, Characterization, DNA Interaction and antimicrobial of novel copper(II) Schiff base amino acid complexes” Vth International Conference on Molecular Materials– Barcelona, 3-6 July, 2012. Ahmed Abu-Dief, Laila H. Abdel-Rahman, Rafat M. El-Khatib and Lobna A. E. Nassr” Synthesis, Characterization, DNA Interaction and antibacterial of Some Bio molecular Iron (II) Schiff Base Amino Acid Complexes derived from Bromosalicylaldehyde” , Vth International Conference on Molecular Materials– Barcelona, 3-6 July, 2012. Ahmed Abu-Dief, Laila H. Abdel-Rahman, Rafat M. El-Khatib and Lobna A. E. Nassr, The Third Scientific Conference for Young Researchers, Sohag, Egypt, 26-27 May, 2012. 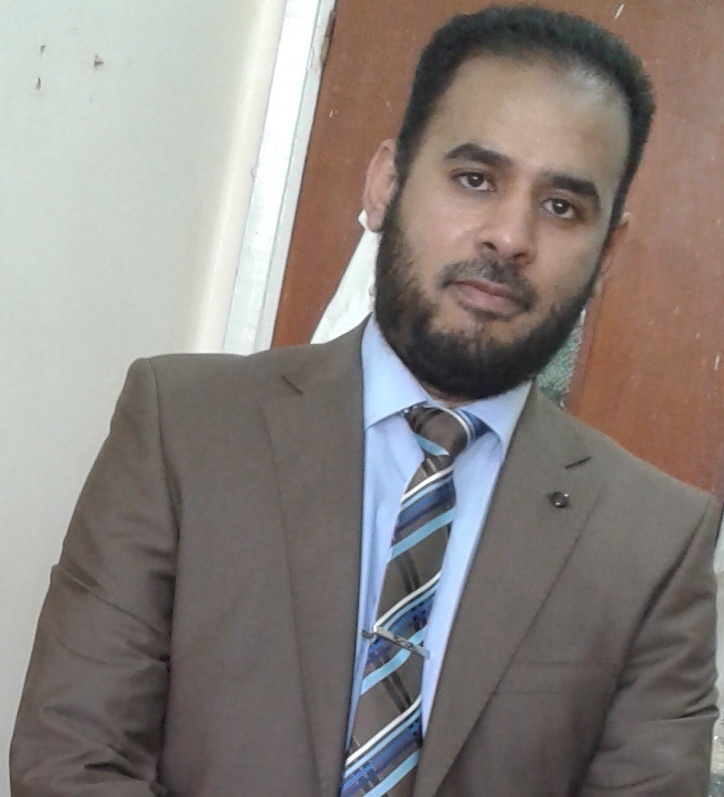 Attending Conference on Nuclear Energy Past, Present and Future, Sohag Uuniversity, Sohag, Egypt 7/3/2012. Attending the Second conference of Employment in Faculty of Science14/3/2012, Sohag, Egypt. Ahmed Abu-Dief, Ezz A. Abu-Gharib, Rafat M. EL-Khatib and Lobna A. E. Nassr, "Solvent effects on the kinetics and reactivity trends of base-catalyzed hydrolysis of some chromen-2-one indicator dyes at different temperatures" (Oral presentation) The second Scentific conference for young researchers, Sohag, Egypt, 13-14 April, 2011. Ahmed Abu-Dief, Ezz A. Abu-Gharib, Rafat M. EL-Khatib and Lobna A. E. Nassr," Solvent and Temperature effects on Reactivity trends of Base-catalyzed hydrolysis of some Chromen-2-one laser dyes" (Poster presentation) The 11th International Chemistry Conference in Africa (11ICCA), Luxor, Egypt, 20-23 November, 2010. الإشراف على المشاريع البحثية لبعض طلاب الفرقة الرابعة بقسم الكيمياء بسوهاج. الإشراف على السكاشن العملية لطلاب كليات العلوم والتربية والزراعة والصيدلة بجامعة سوهاج. الإشراف على طلاب المشاريع البحثية بقسم الكيمياء بجامعة أڤيدوا بأسبانيا . حصل علي منحة بحثية لمدة شهرين من جامعة برشلونا فى اطار المشروع المشترك بين جامعة سوهاج وجامعة برشلونا وذلك في الفترة من 1/6/2012 إلى 1/8/2012. شهادة تقدير من الادراة العامة لرعاية الشباب بالجامعة للقيام بتدريب طلاب الجامعة فى دورة SPSS (2015). شهادة تقدير من مركز التطوير التكنولوجى بسوهاج للمشاركة فى تحكيم المشروعات بالمعرض المحلى للعلوم والهندسة ISEF للعام2017/2016. شهادة تقدير من اسرة بداية بكلية العلوم لالقاء ندوة وورشة عمل عن تنقية مياه الشرب فى ابريل 2018 بكلية العلوم – جامعة سوهاج. شهادة تقدير من مركز تكنولوجيا المعلومات للمشاركة الفعالة فى الدورة التدريبية ((TOT كمدرب 9/2018. شهادة تقدير و التكريم ودرع الجائزة فى عيد العلم الأول للحصول على احد المراكز المتقدمةفى مؤتمر شباب الباحثين الرابع 2018 بجامعة سوهاج. شهادة تقدير وتكريم ودرع الجائزة فى عيد العلم الأول للحصول على أفضل موقع الكترونى على مستوى الجامعة بسوهاج للسادة الأساتذة والاساتذة المساعدين- ديسمبر 2018. شهادة تقدير وتكريم فى عيد العلم الأول للمشاركة فى أعمال اللجنة المنظمة لمسابقة جمعية تنمية وحماية البيئة بسوهاج -ديسمبر 2018 . شهادة شكر وتقدير لحضور المؤتمر العلمى الأول لشباب علماء الأرض فى مصر من كلية العلوم جامعىة سوهاج ( 3-4 فبراير 2019). شهادة شكر وتقدير من كلية العلوم بسوهاج على الجهد المتميز والمساهمة فى حصول كلية العلوم على تجديد الاعتماد من الهيئة القومية لضمان جودة التعليم والاعتماد ( يناير 2019) كعضو لجنة تحقيق منظومة ضمان الجودة . شهادة شكر وتقدير من كلية العلوم بسوهاج على الجهد المتميز والمساهمة فى حصول كلية العلوم على تجديد الاعتماد من الهيئة القومية لضمان جودة التعليم والاعتماد ( يناير 2019) كعضو لجنة معيار ادارة الجودة والتطوير. شهادة شكر وتقدير من كلية العلوم بسوهاج على الجهد المتميز والمساهمة فى حصول كلية العلوم على تجديد الاعتماد من الهيئة القومية لضمان جودة التعليم والاعتماد ( يناير 2019) كعضو لجنة التسيير بقسم الكيمياء. دورة اساليب البحث العلمى فى الفترة من 2-6-2007 الى 5-6-2007 . دورة استخدام التكنولوجيا فى التدريس فى الفترة من 19-6-2007 الى 21-6-2007 . دورة اخلاقيات البحث العلمى فى الفترة من 28-8-2007 الى 30-8-2007 . الاشتراك في أعمال الكنترول وأعمال لجان الامتحانات الشفوية و النظرية و العملية بكليات العلوم والتربية والزراعة والصيدلة بجامعة سوهاج . عضو بلجنة المختبرات بكلية العلوم بسوهاج في الفترة 1 /9/2016 إلى 15/8/2018. نائب لمدير وحدة الأمن والسلامة وادارة الأزمات بالكلية 2011/2012. نائب لمدير وحدة تنمية الموارد البشرية بالكلية 2010/2011. عضو فى اللجنة التنظيمية لتنظيم ورشة العمل الجمعية الكيميائية المصرية 3-5/3/2013. عضو فى اللجنة التنظيمية لتنظيم ورشة عمل دور كيمياء الطب الشرعى فى المعامل الجنائية 15-16/11/2017 بالكلية. أعمل كمدرب معتمد من المجلس الأعلى للجامعات فى مركز تكتنولوجيا المعلومات بجامعة سوهاج من 2007 وحتى الان. أعمل كمدرب ل IC3 لطلاب الجامعة والخرجين بالجامعة. نائبا لمدير وحدة الجودة بكلية العلوم -جامعة سوهاج من 3/2018 وحتى تاريخه. 1- محاضر لإلقاء الندوات الثقافية المختلفة ( تنقية المياه – تدوير المخلفات – الأمن والسلامة ) فى مجال خدمة البيئة بفروع قصر الثقافة بمحافظة سوهاج. 2-تقديم الاستشارات المختلفة لشركة المياه والصرف الصحى فى كيمياء تحلية المياه. 3- تقديم الاستشارات المختلفة لمصلحة الطب الشرعى قسم التزييف والتزوير. 4- عضو فى اللجنة المنظمة لورشة عمل تحت عنوان تنقية ومعالجة المياه فى شمال افريقيا بالتعاون مع الهيئة الألمانية المركزية للتكنولوجيا البيئية والتي كانت بحضور العديد من ممثلى شركات المياه ومصنع الهدرجة . 6- تدريب الباحثين والكيميائيين والخريجين والطلاب علي الأدوات والأجهزة وطرق التحليل المختلفة واستخدام التقنيات الحديثة في التحليل الكيميائي . 7- دراسات طيفية علي تحلل بعض المركبات الدوائية في الأوساط المختلفة المشابهة للأوساط في جسم الإنسان. 8- استقبال رحلات المدارس المختلفة الى الكلية واعطائهم نبذة مختصرة عن معامل الطلاب بالقسم والتجارب التى تجرى بها. 10- عضو فى اللجنة المنظمة لدورة التداخلات الدوائية مع بعضها البعض ومع الأطعمة ومقدمة فى التحاليل الطبية وذلك بمقر نقابة المهن العلمية بالتعاون مع جامعة اسيوط. 11- تنظيم لقاء المدربين من شركة بداية لتدريب الخرجين على كيفية اعداد السيرة الذاتية والنجاح فى المقابلات الشخصية بالكلية. 4- Member in editorial board the journal of Archives in Chemical Research. http://www.imedpub.com/archives-in-chemical-research/editors.php. 6- Member in editorial board the journal of Journal of Current Trends in Medicinal Chemistry. 8- Member in editorial board of SRL Antivirals & Antiretrovirology journal http://scireslit.com/Antivirals/editorsJ.php. 9- Member in editorial board the journal of Journal of Current Trends in Medicinal Chemistry. 24- Member in editorial board of journal of Applied Chemical Engineering. 26-Member in editorial board of Clausius Scientific Press (Inorganic Chemistry: A Journal). 38-Member in editorial board of Insight - Organic Chemistry journal.